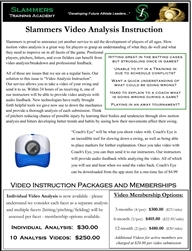 Video Analysis Instruction provided by the professionals at Slammers Training Academy. 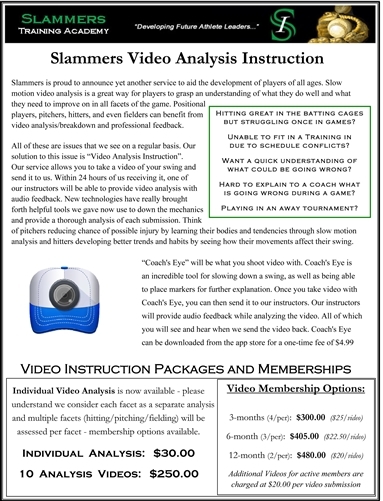 Memberships for players allow multiple videos to be sent on a month-to-month basis for the length of the membership and come with great discounts on any additional videos that are submitted. This is for those players that want to take advantage of this great opportunity to learn from Slammers' professional staff from almost anywhere around the world.